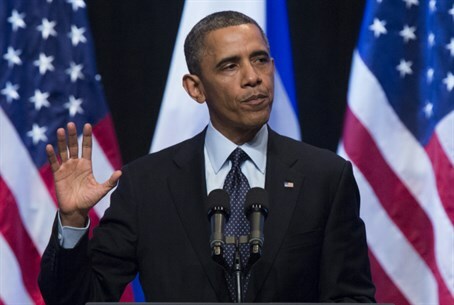 A US District Judge ruled against US President Barack Obama's administration on Tuesday, ruling in favor of the Zionist group Z Street's lawsuit against the Internal Revenue Service (IRS) on charges of discrimination. Z Street has accused the IRS of violating the First Amendment by putting pro-Israel organizations that apply for tax-exempt status to a more stringent review than other organizations. The non-profit organization Z Street, which opposes Israeli withdrawals, compromises with terrorists and supports Jewish rights over Judea, Samaria and Gaza, applied for tax-exempt status in 2009. The group reports than on July 19, 2010, an IRS agent assigned to their case told them that the IRS gives "special scrutiny" to groups connected to Israel, especially those with views that "contradict those of the administration's." The group was given to understand that such cases are sent to a special IRS unit. In making his ruling, Judge Ketanji Brown Jackson ordered the IRS file a substantive answer to the charges within 30 days. “Z Street merely asks the Court to require the IRS to go about it usual business of evaluating Section 501(c)(3) applications in a manner that comports with the Constitution,” Jackson wrote in his decision, reports the South Carolinian paper The State. “The only matter at issue in the instant lawsuit is whether, in addition to evaluating Z Street’s activities as it would any other organization’s, the IRS may constitutionally apply a more stringent standard of review that is allegedly reserved for organizations whose activities relate to the promotion of Israel,” Jackson added. The IRS has come in for controversy as of late, as regards politically-motivated discrimination. Last May, then Director of the IRS Exempt Oragnizations Division Lois Lerner admitted the IRS had specifically been targeting conservative groups for harsher review and rejection. Lerner called the practice "absolutely inappropriate." Former Republican Presidential Nominee Mitt Romney last June called for the appointment of a special prosecutor to investigate the IRS scandal. “Clearly, the president’s ability to manage the government of the United States, and the trust that Americans have for our government, have been very seriously eroded by the kinds of revelations that have come forward from the IRS," said Romney.